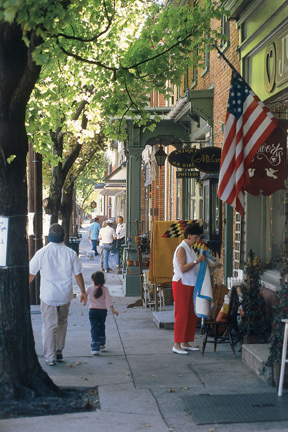 Before your visit to Lancaster County there are a few things to consider. These may sound obvious but it is usually the obvious which is the easiest to forget. First of all, remember that many shops and attractions shut down on Sundays. Pennsylvania Dutch Country is a traditional region and the locals tend to devote their Sundays to God and the family. While many major businesses and restaurants may remain open, it is highly likely than many of the roadside stands and smaller business will be closed. So, if you had your heart set on stocking up on fresh produce, tasty baked goods, or local arts & crafts, you would be wise to do your buying on Saturday. Secondly, a popular attraction in Lancaster County are the Farmers Markets. Here local farmers sell some of the largest and freshest produce around at very inexpensive prices. Many people from larger cities visit the region just to purchase fruits and vegetable which they simply can't find at home. However, please keep in mind that Farmers Markets are not open throughout the week. Rather they tend to only be open one to three days a week. Remember, also, that summer is the most crowded time of year and weekends are busier than weekdays. It is not uncommon to experience traffic congestion that rivals larger cities. For instance, Route 30 outside Lancaster City can get pretty busy during the tourist season. Another thing to consider when planning when to come are the numerous county events throughout the year. Every month has a great deal to offer the visitor such as antique & craft shows, county fairs, parades, music concerts and so on. So, plan your visit accordingly.